Boels-Dolmans Cycling Team is set to sport an entirely pink outfit at the Amstel Gold Race in support of breast cancer research. The Dutch team has partnered with the Pink Ribbon organisation, which finances projects and scientific research focused on treatment, aftercare and long-term effects of breast cancer. 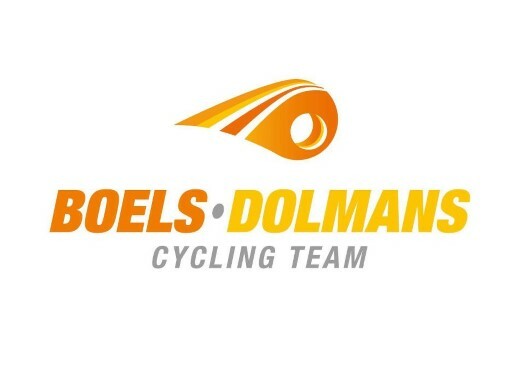 "The Boels-Dolmans Cycling Team, for three years in a row the best professional female cycling team in the world, identifies itself with the impact and consequences of this disease," said the team in a statement. "For this reason, the team joins the fight against this terrible disease and takes up its social responsibility as a professional organization in (women’s) pro-cycling." Chantal Blaak, Dutch national champion, is excited about this project. "Of course we will do this! This was our first reaction when team manager Erwin Janssen explained to us the idea of this special Pink Ribbon campaign," she explained. "We discussed the topic later with a couple of riders. "Almost everyone knows somebody near, being family or friends, who is affected by breast cancer. All extra aid and help to beat this deadly disease is a bonus. We are very determined to make this a success and attract as much attention as possible on the Pink Ribbon campaign and eventually collect as much money as possible." The team, Pink Ribbon and the team partners such as Specialized, Santini cycling wear, Wealer (Audi cars), ROKA sunglasses, Tacx and MH-Roadstyling (wrapping), will organise a special campaign in the fight against breast cancer. Not only the riders will be in pink outfits, but their bikes and the team cars will have this colours and all this will be done in support of an online auction with unique Boels-Dolmans gear, including the Specialized bikes that the team will use for the Amstel Gold Race. In addition, all the eventual prize money that the team would get at the race will also be donated to the organisation. "The team calls upon all cycling fans, fellow sporters, sponsors and everybody who supports the Boels-Dolmans team and has a warm heart for the work of Pink Ribbon to support this campaign and bid on unique objects through this site: http://www.boelsdolmansforpinkribbon.com."